…to TradeMark Realty! We are a local Mass Real Estate company offering full-service real estate and mortgage protection services. We work with Sellers, Buyers & Investors looking for either long-term investment properties, short-term rehabs, or independent third-party Broker Price Opinions for market valuations. We also work under contract to provide full loyalty and commitment to our clients. We enjoy helping people achieve their goals of homeownership whether they are seeking a single family home, investment property, distressed property, or are seeking a first-time owner-occupied multi-family to achieve the long-term goal of building assets and net-worth. For those wishing to sell or have been solicited to sell prior to listing their property on the open market, TradeMark Realty Brokerage does provide a separate service: Broker Price Opinion (BPO). We can be your independent third-party to provide you with a current BPO to determine your property’s current market value and current cash value. This service is designed to make sure you are getting a fair and honest offer without any pressure to list with us. We now offer a variety of mortgage protection services for those who wish to protect their home and investment against critical illness, death, disability and even temporary unemployment. These products provide peace of mind and will provide protection should anything happen. As a Real Estate Broker, Toni Nicholas has worked with many homeowners in the Merrimack Valley who were faced with foreclosure during the real estate downturn. In order to avoid foreclosure, many homeowners were faced with the only option at that time: short-selling their home. Those who didn’t eventually realized the unfortunate and inevitable event – foreclosure. For these reasons, Toni has pursued her Massachusetts Insurance License, and can now help families protect their homes against unexpected or tragic events. Death – Pays off your entire loan in the event of your death. Disability – Pays your monthly payments if you can’t work due to an illness or injury. Unemployment – Makes your premium payments if you become unemployed. Return of Premium – Refunds 100% of your premiums if the benefits are not used by the end of your mortgage term. If you wish to contact us, please use the Mortgage Protection Survey form, and let us know what day and time are best to schedule an in-home consultation. There is no cost or obligation, and Toni will work with you to address your needs, fit your budget, and protect your home. Thank You for your visit! We look forward to hearing from you! 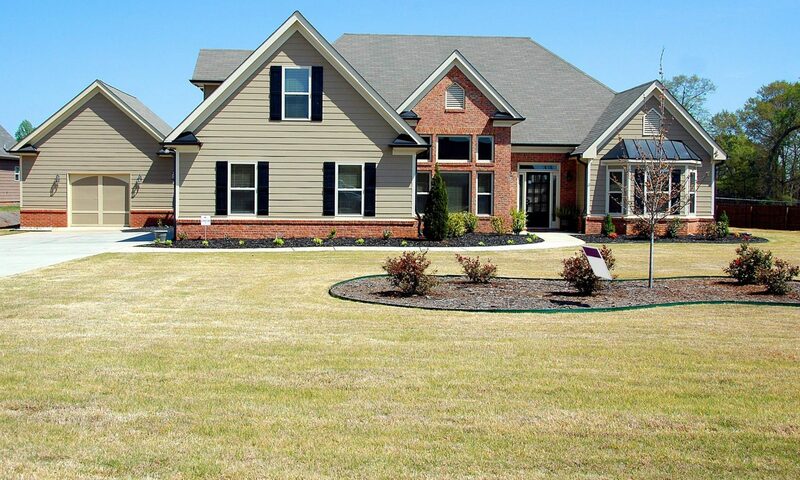 We represent Sellers of Residential Homes, Multi-Families, Commercial Real Estate, and Vacant Land, and we also work with Buyers (facilitating or under contract) who are interested in property currently up for sale under the MLS Listings or known “For Sale By Owner” (FSBO) Properties. We now provide Mortgage Protection and other Insurance Products. If you wish to protect your home and protect against critical illness, death or disability, please contact us! We work with 8 different companies and we have, at the time of this writing, June 2018, 84 different products to choose from. Please schedule an in-home consultation to see what kind of plan will address your needs, fit your budget, and protect your home from foreclosure. If you are interested in any listing I may have, or if you wish to list your home, I can be reached by using the form that appears on the Contact Us page. 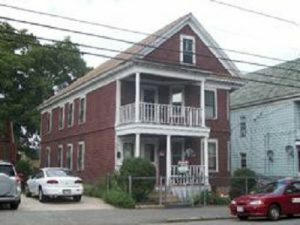 Location: This multi-family home is located – literally – blocks from U-Mass Lowell’s South campus. It is also on the U-Mass Lowell bus route. It is convenient to the Lowell Connector to easily access Routes 3 & 495, and it is also convenient to multiple shopping areas including Drum Hill, Pheasant Lane, and points North. It is also in the Highlands, and easily accessible to the Cross Point towers. Rental Unit: Has been temporarily withdrawn. Price: This home is listed below $400,000 – well below other two-families of similar size in this neighborhood. The price will accommodate the known repairs and can easily be rolled into the term of the loan if a buyer chooses to go with an FHA 203K rehab loan. For much more detailed information and the breakdown of repair costs, please see the Info & Resource page on this website. Ideal Buyer: Ideally, the seller is seeking an owner occupant buyer or a long-term investor who appreciates the original character of this house. This home has remained with the same family for more than 70 years, and still retains most of its original features and charms since it was built in the early 1900’s. The pre-approved buyer who buys this home will either have a Conventional loan, cash, or will have a mortgage provider familiar with, and who offers FHA 203K rehab loans. This type of loan allows a buyer to roll rehab costs into the mortgage over the term of the loan. Interior Features: This home has the original hardwood floors throughout, with the exception of the two kitchens. It has plaster walls, and handcrafted built-in hutches and cabinets. It also features the original antique wavy glass windows. You won’t find cheap cracked vinyl windows with broken seals here! These beautiful windows can easily be insulated for heating and cooling efficiency, and you can find more information on window upgrades on that same Info & Resource page mentioned earlier. This is a large two-family six-bedroom home with two baths that have been updated. Both units feature water saver toilets. Moen water saver faucets have been installed in the bathroom on the first floor with the new sink, acrylic tub, and wall surround. Additional Space: There is additional space in the attic for multiple expansion possibilities! This space is large enough for 4 extra bedrooms and 2 extra bathrooms with interior access from both 1st floor and 2nd floor. This possibility would result in an additional 2 bedrooms and an extra bath for each unit making each a 5 bedroom 2 bath apartment. Another alternative would be to create two Master Bedroom Suites – one for each unit as the attic is easily accessed by both units. A third possibility would be to create an “in-law” apartment or a third apartment (contingent on City approval) as it does have two entrances with interior access to both the front and side back porches. The third floor is a buyer’s clean slate! The possibility of additional bedrooms and baths for each unit or a third apartment would result in even more income for an owner-occupied home or investment opportunity. Please see the Breakdown Sheet with hypothetical examples of cash flow via the Dropbox file link that appears below. This home also features new Pex plumbing and PVC drain system, insulated basement windows, two newer water heaters, newer tubs and wall surrounds, water saver toilets, and newer bath fixtures. This home has separate gas and electric meters, separate basement storage with interior access to both units, and currently, separate attic storage areas as well. Laundry: Each unit also has laundry hookups in the pantry. These can easily be relocated to a common area in the basement (accessible to each unit separately) for additional coin-op income. Parking: There is ample parking for up to 4 cars (to include sub-compacts on the left-hand side). The driveway can be expanded by removing the white fences along the right-hand side of the property going toward the backyard and the middle chain link fence that separates the backyard from the side yard. Backyard & Fencing: This property is fenced all around with either Vinyl or chain-link fencing. There is chain link on the right-hand side of the backyard, a concrete retaining wall on the left-hand side, and chain link along the back. The chain link fencing on the side and back have a wooden stockade fence attached to it. This land is “Registered” and it actually goes back (approximately) another 3.5 feet further than the location of the chain link fence to the point of the four corners. Currently, Owner Occupied: Please know that this property is occupied. It is available for a walk-through showing appointment only with a 24 Hr. notice for those who are pre-approved buyers or cash buyers with proof of funds. Please use the contact form on the Contact Us page. Open House Info: If there is an Open House planned for this property, it will be shared via the MLS system. Open House will be limited to the 2nd floor only. Pre-approved serious buyers can schedule a showing appointment for the entire house, from the attic to the basement, at a later time. If you are thinking of selling your home or property, and you wish to meet with me to discuss your Listing, or if you are seeking an independent third-party Broker Price Opinion (BPO) to determine current market value – especially if you may sell to a cash buyer investor – please use the form on the Contact Page. There is a charge for independent BPO services which would be credited toward Listing and Closing fees should you list with TradeMark Realty. Please also leave the best day and time to call back at your convenience. Thank you! For Mortgage Protection Insurance, please go to the Mortgage Protection Survey Form. I’m Toni Nicholas, the Broker/Owner of TradeMark Realty. I was born and raised in Lowell, MA, where I currently reside, and I hold two Massachusetts Professional Licenses. Real Estate: I am a Licensed Real Estate Broker and my brokerage, TradeMark Realty, is also based in Lowell, MA. My Broker License number is #009502868 which can be verified on the State.gov website. I have worked for area real estate companies, as a Licensed R. E. Agent, prior to obtaining my Real Estate Broker License more than twelve years ago. I help both buyers and sellers with either residential or commercial real estate. My brokerage and short-sale company have also worked with numerous owners experiencing financial distress. TradeMark Realty has listed, sold and closed pre-foreclosure properties while Home Owner Solutions negotiated with the mortgaging banks. Many of these short sales were done prior to and during the economic downturn, and we helped a number of homeowners avoid foreclosure. Insurance Field Underwriter/Consultant: I am also a Licensed Insurance Field Underwriter / Consultant. My Massachusetts License number is #2060730, and my National Producer number is # 16777046. I help homeowners protect their newly acquired home and other investments with Mortgage Protection Insurance. As an Independent Agent, I have access to multiple products with various carriers. These products help protect homeowners if and when unexpected and/or tragic events occur. Some of these unexpected events include death, sickness, disability and even temporary unemployment. These products provide both the peace of mind and the financial means necessary to either pay off a mortgage entirely, partially or to continue to make mortgage payments that will help homeowners retain their equity and avoid foreclosure while recuperating. In short, I understand that purchasing a home is one of your biggest investments. I, personally, know what it’s like to save up for a down-payment on a home of your very own, and to achieve homeownership. I also know what’s it’s like to be faced with some hard choices which may result in losing your home. I’ve seen, first-hand, what an economic downturn or unexpected health issues can do to people – to families. I’ve worked with homeowners who, through no fault of their own, were faced with foreclosure due to economic downturns, critical illness, and disability. This is why I believe in the insurance products and services that I now offer. I can help you protect your home. I’m also a lifelong student of Business, Strategic Management, in particular, and I hold an MBA degree along with a Graduate level Marketing Certificate. I have a wide variety of sales, customer service, and financial services experience in a variety of industries including both private and Government. On another note, I am the founder of the Nicholas Fund for the Prevention of Domestic Violence, a fund held by the Greater Lowell Community Foundation. Internet & Affiliate Marketing, Blogging, Mentoring, and working out at the gym. For more information about the Nicholas Fund, please visit The Greater Lowell Community Foundation at www.GLCfoundation.org. If you wish to donate to the Nicholas Fund, please contact the Foundation directly. Thank you! “Antonios: An American Immigrant I remember” – a book about my grandfather who emigrated from Cyprus to Lowell, MA, and now available on Kindle over at Amazon.com. “Cha-Ching: A Medical Nightmare,” – a book about trusting doctors – now available on Kindle over at Amazon.com.